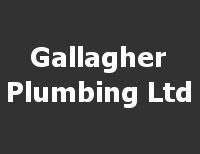 Brian from Gallagher Plumbing specialises in Commercial & Residential plumbing. Do you need a leaky tap repaired or are you having water pressure problems? Then call Gallagher Plumbing! We offer professional plumbing services at highly competitive rates. Brian is a member of Master Plumbers Association. All work is guaranteed by NZ Certifying Plumber.